At left, female (top) and hermaphrodite (bottom) flower of bladder campion (Silene vulgaris); their nectaries differ in production of sugar content. 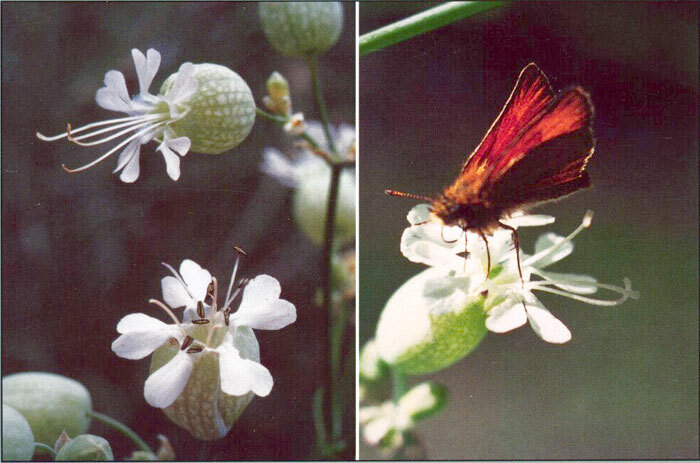 At right, a European skipper (Thymelicus lineola) removes nectar from a female bladder campion flower. Differences in nectar production between the genders of plants may affect pollinator activity and, ultimately, indbreeding.